Every Girl Deserves the Chance for a Brighter Future. Period. In 2015, the United Nations brought together a new, ambitious agenda to tackle poverty, sickness and inequality globally. Building off of the momentum of its Millennium Development Goals, the new Sustainable Development Goals (SDG’s) signaled a fresh beginning for international development efforts worldwide. 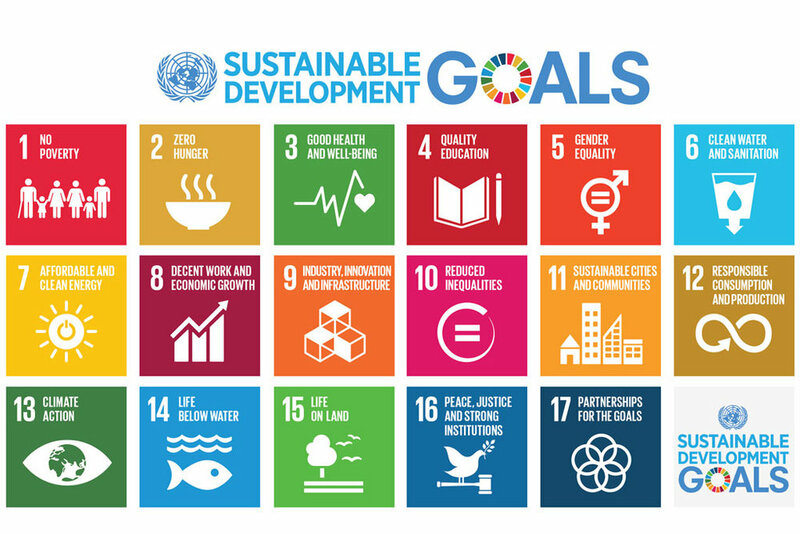 These SDG’s are broken up into 17 distinct categories and have effectively raised the bar for imagining a better tomorrow for future generations. Sustainable Development Goals Four, Five and Six, labeled Quality Education, Gender Equity, and Clean Water and Sanitation, were given high priority in the UN’s recent list. This renewed attention helped shed some light on an often overlooked problem that intersects all three SDG goals. That problem is menstruation, or rather; the social stigmas, lack of education, and limited access to sanitary products that women in impoverished nations confront in regards to menstruation. UNESCO and the World Bank have found that menstruation causes one in ten young girls in sub-saharan Africa to miss over twenty percent of their classes. Some estimates have shown that in rural areas, young girls drop out of school altogether after they begin menstruating. Even more troubling are the findings in a recent study funded by the Bill and Melinda Gates foundation. This study focused on Kenya and estimates that 65% of women and girls are unable to afford sanitary products, and of those who can, nearly “2 out of 3 pad users in rural Kenya receive them from sexual partners”. UNESCO, the World Bank, and the Bill and Melinda Gates foundation, just to name a few, have signaled the need for Menstrual Health Management in the developing world, and especially in Kenya. Menstrual Health Management (MHM) is a powerful and effective means of helping to improve Education, Gender Equity, and Sanitation for young, disenfranchised women. Cross World Africa Inc. is uniquely positioned to answer this call and forward a MHM mission in rural, Western Kenya. Over the past decade, CWA has built up a network of schools, teachers, administrators and public figures that will help launch a comprehensive MHM program. Our foundation also has a proud history of helping women, be it in education or agribusiness. This 2018 Menstrual Health Management project will utilize our resources and our mission in an inspiring new way.